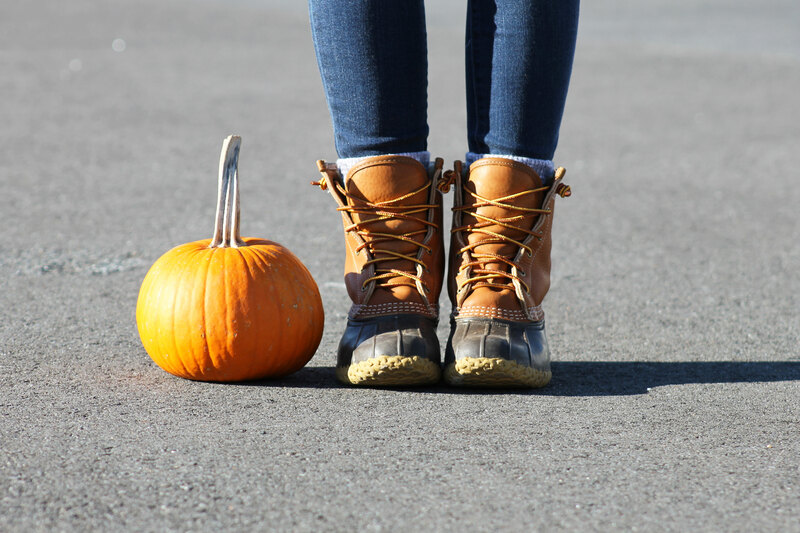 Fall is upon us and that means it’s time to break out the bean boots, flannels, and vests! Yay! This outfit perfectly describes my Fall wardrobe to a tee. Have I mentioned Fall is my favorite season?! 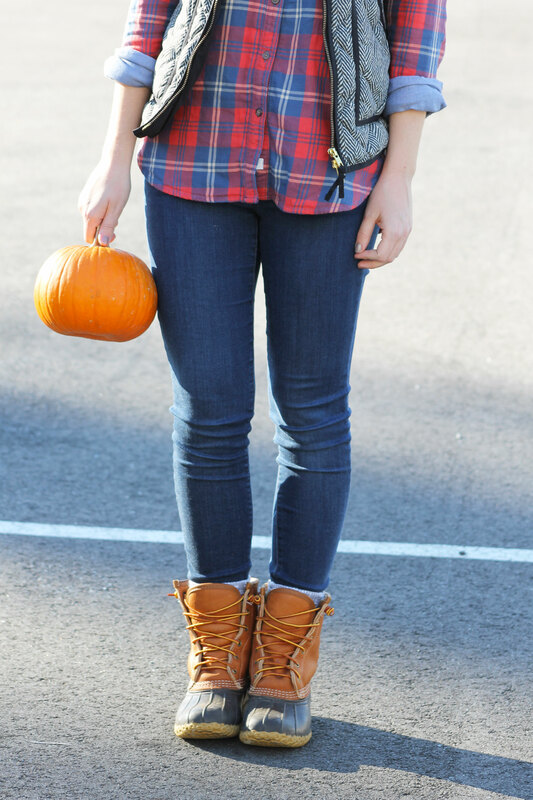 I purchased my bean boots last year and they have quickly become a staple in my fall wardrobe. 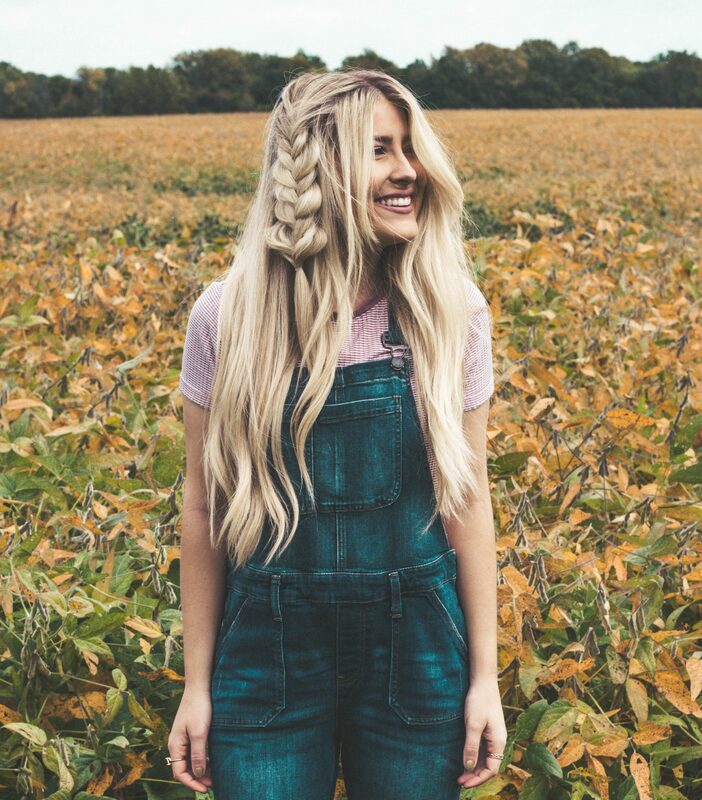 I am constantly searching Pinterest for new ways to wear them with outfits–my favorite way to pair them is with jeans and a flannel! I have seen them paired with cute fall dresses, but I don’t think I am bold enough to try that just yet! 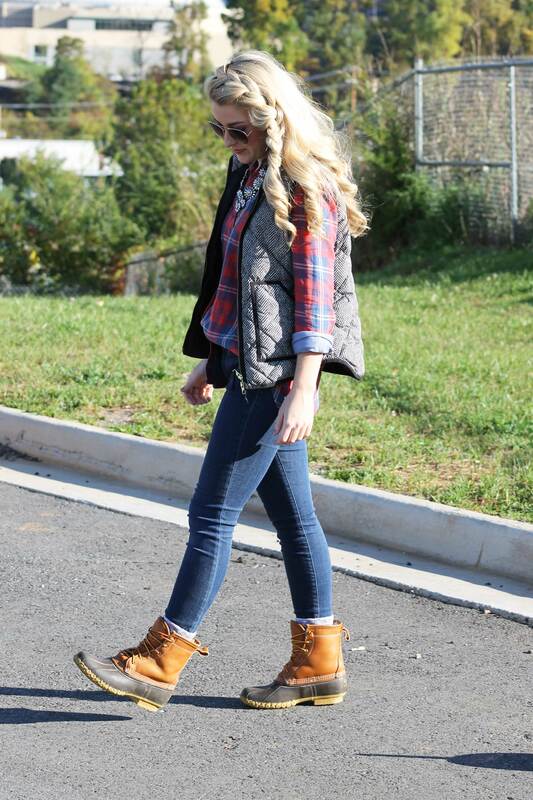 What are your guys favorite ways to wear your bean boots?! My J.Crew herringbone vest gets worn quite frequently by me during this time of year. I had to hunt down this vest because it was sold out everywhere last year! I ended up buying it brand new off of ebay last fall which was the best decision ever. 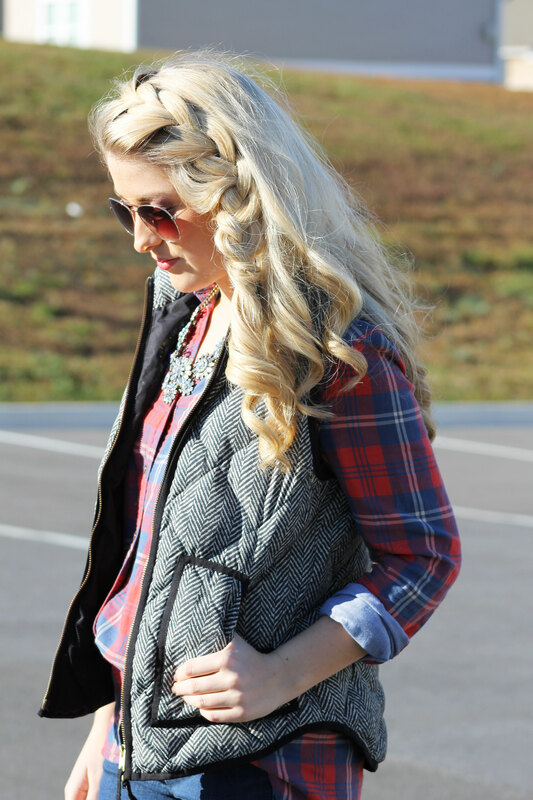 My favorite way to wear this vest is with a flannel–I just really love the contrasting look of the flannel and herringbone together. What top would you guys pair with this vest?